Thank you for your continuous patronage to the JAL Group. 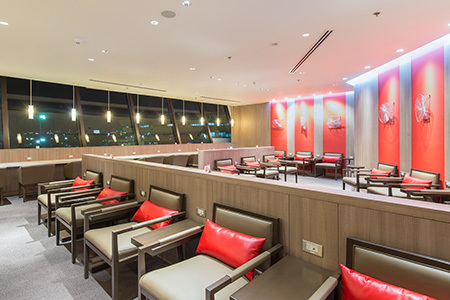 JAL is pleased to announce that the new and improved JAL Sakura Lounge at the Manila Ninoy Aquino International Airport will be opening on September 12, 2017 (Tuesday). 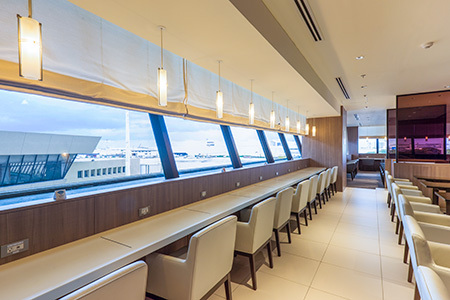 The new lounge will have a more spacious area and new interior design for the enjoyment and relaxation of our valued passengers. Thank you for your patience and understanding. Food and Beverages : Special beef curry, Hot Meals, Sandwiches, Desserts, Alcoholic Beverages, Sodas, and Bottled Fruit Juices.